A twist on a timeless style. 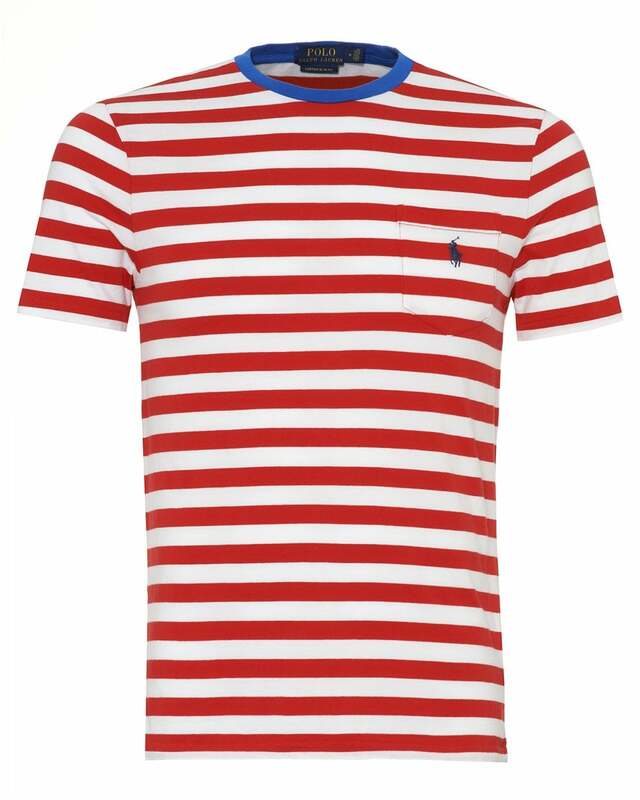 This t-shirt from Ralph Lauren is adorned with an all over striped pattern and a contrasting coloured neckline. Perfect for pairing with your favourite chinos.